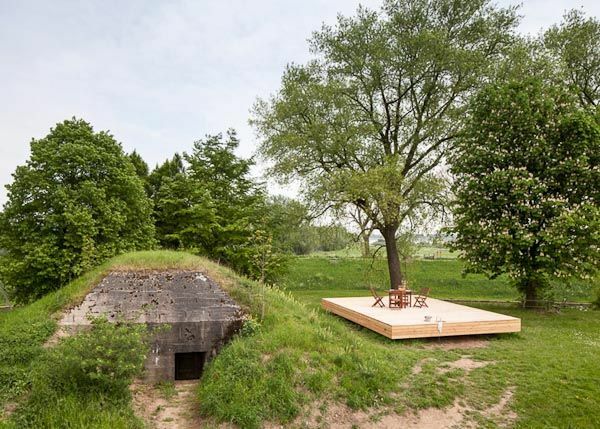 On the rural site of Fort Vuren in the Netherlands, Belgian studio B-ILD has converted a wartime bunker into a tiny holiday home. 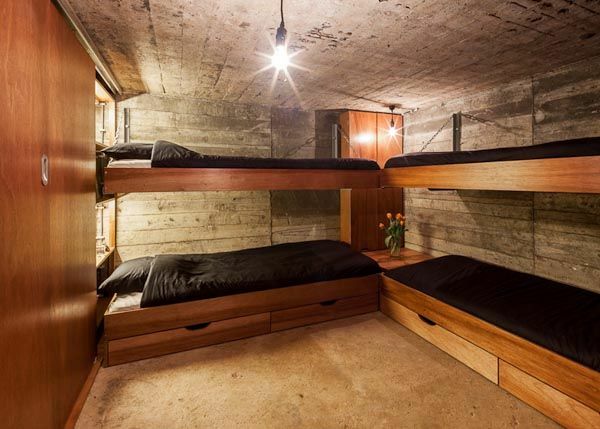 Guests sleep beside raw concrete walls and home comforts are reduced to the bare essentials. 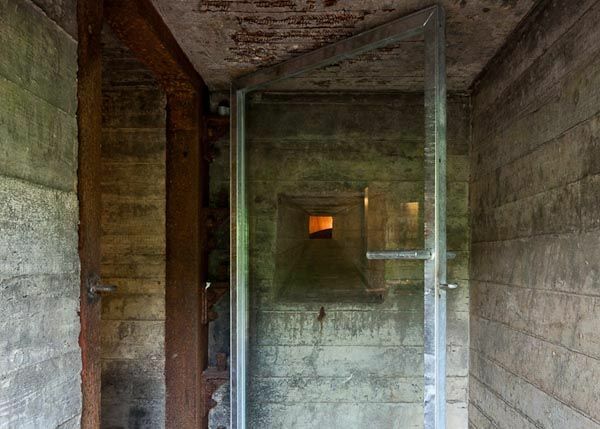 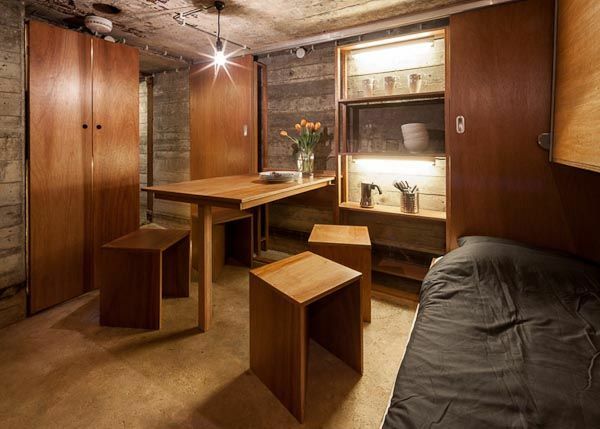 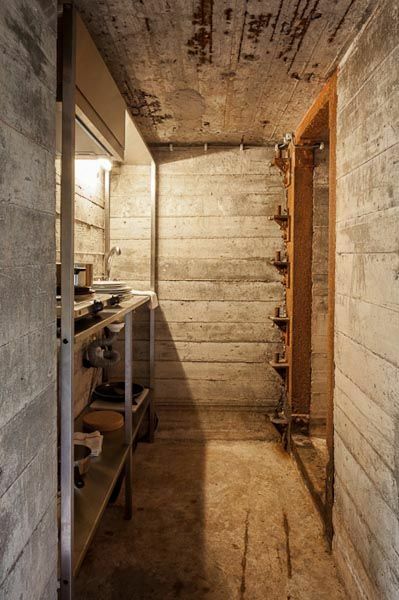 The bunker's internal area measures just 9m2 with less than 2m head height, so to utilize the space the best possible way furnishings were custom made and kept to a minimum. 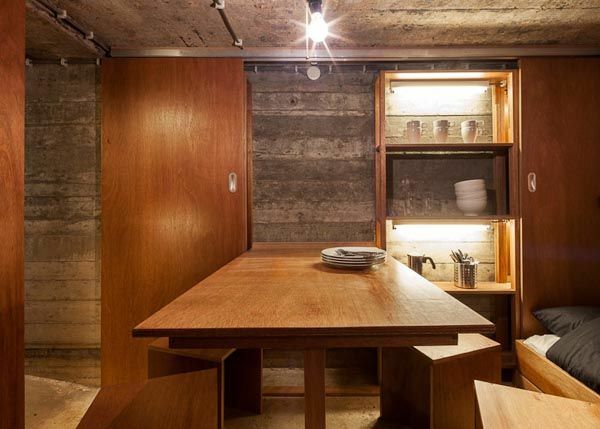 "All furniture can fold or slide away or be pushed up and down. 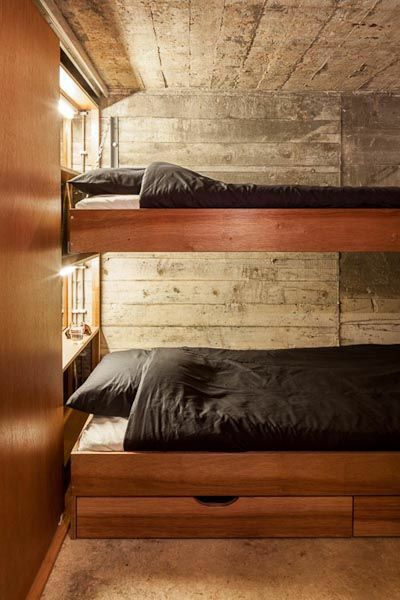 Therefore all objects have a double function," explained Bruno Despierre, one of the architects.